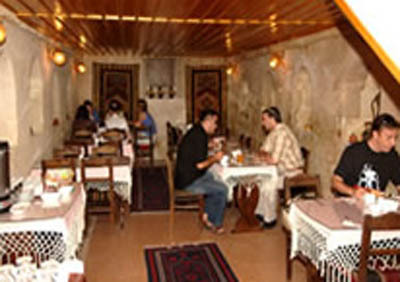 Located in the heart of Cappadocia in the old town of Urgüp (5 km distance from Goreme Churches), 45 km to the Nevsehir Airport and 70 km to the Kayseri Airport. 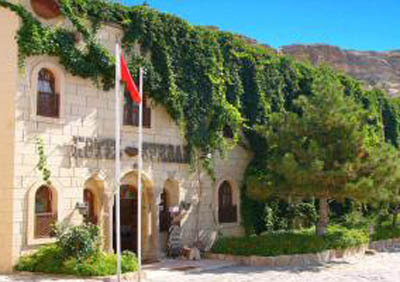 Breakfast hall * café * lobby bar * 1 outdoor restaurant * 1 indoor restaurant * library * TV room * free internet access. Laundry & dry cleaning service * baby sitter * safety box at reception * cappadocian cultural & hiking tours * wedding planning * car rental with/withour driver * hot air balloon flight * Turkish night * whirling dervishes. 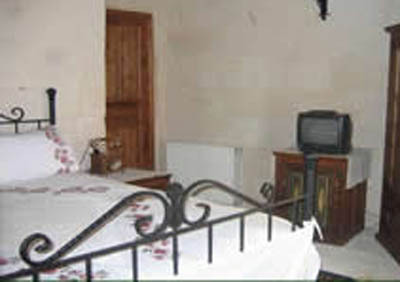 Central heating * double glazing * telephone * television satellite * bathroom with marble washbasin * shower * hairdryer.